Order your copy on Amazon, iTunes, or at the Bravo Shop. Zhou Tian’s new Concerto for Orchestra is a grandiose symphony in which every instrument of the large symphony orchestra is treated soloistically. The commissioned work of Zhou Tian’s Concerto for Orchestra, was made possible by a generous gift from Ann and Harry Santen. The recording of Zhou Tian’s Concerto for Orchestra was made possible by a generous gift from Mace Justice. 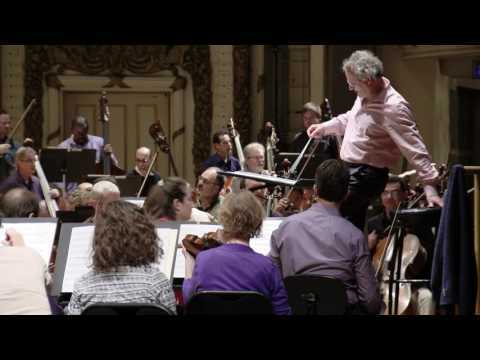 Thierry Escaich's Psalmos, his new work written for the CSO, is based on chorale melodies familiar from the works of Bach (as well as other representatives of the German Lutheran tradition), but it takes those chorale melodies to places they have never been before. The commissioned work of Thierry Escaich's Psalmos, was made possible by a generous gift from Ann and Harry Santen. The recording of Thierry Escaich's Psalmos, was made possible by a generous gift from Tom and Dee Stegman. Sebastian Currier's FLEX is a 35-minute, six-movement “concerto for orchestra” by an American composer who has been equally acclaimed on both sides of the Atlantic. In his Cincinnati commission, Currier combines high-energy, driving rhythms with dazzling instrumental colors and transparent musical structures that make the layering of the musical material relatively easy to follow, without ever becoming predictable. The commissioned work of Sebastian Currier’s FLEX was made possible by a generous gift from Ann and Harry Santen. The recording of Sebastian Currier’s FLEX was made possible by a generous gift from Tom and Dee Stegman. Zhou Tian was born in Hangzhou, China, on December 22, 1981 and currently serves on the faculty of Michigan State University in East Lansing, Michigan. Zhou Tian belongs to the third generation of Chinese-born composers on the American musical scene. This particular instance of globalization in what used to be called “Western” music began in 1946, when a 23-year-old Chou Wen-chung arrived in New York City to study with Edgard Varèse. Later, as a distinguished professor at Columbia, Chou trained several young composers from China who had survived the ordeals of the Cultural Revolution, arrived in their mid- to late twenties, and eventually came to great prominence in this country: Chen Yi, Zhou Long, Bright Sheng and Tan Dun. Zhou Tian came of age in a new China marked by economic reforms, and was in the United States by his 20th birthday and naturalized in 2015. 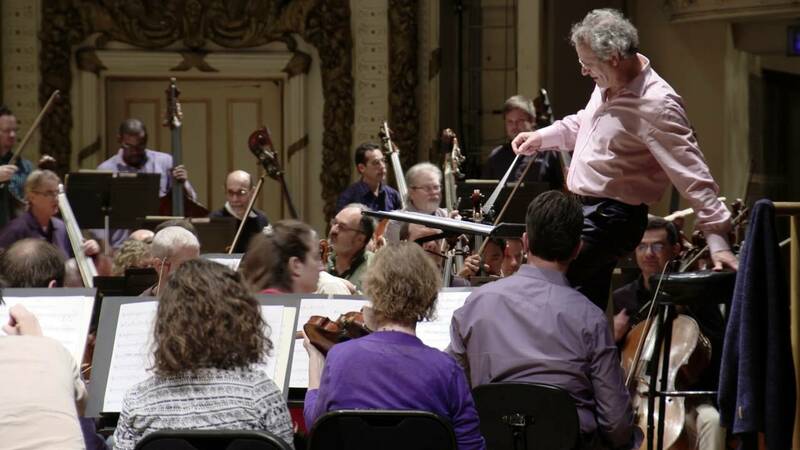 His teachers here were all American-born, including Jennifer Higdon, Creative Director of the Cincinnati Symphony’s 2012.2013 Boundless Series. He maintains strong ties with his native country, where his choral suite The Grand Canal was performed in 2009 during a nationally televised celebration of the 60th anniversary of the founding of the People’s Republic of China. Zhou Tian’s new Concerto for Orchestra is a grandiose symphony in which every instrument of the large symphony orchestra is treated soloistically. Zhou filled the traditional fast-slow-scherzo-finale format with melodies of great originality, colorfully orchestrated and often subjected to contrapuntal imitation. The agile and wide-spanning opening theme of the first movement (“Glow”) is introduced by the first clarinet; after it has been developed at some length, a second, more dignified theme is played by the cellos and basses. In the central portion of the movement, the trumpets initiate a nervous motif of repeated notes that gradually takes over the entire orchestra. A virtuoso cadenza for clarinet leads to a free recapitulation and a hymn-like “Maestoso” ending. A slow, lyrical string theme and some florid woodwind writing generate much of the thematic material of the second movement (“Indigo”). At the climactic moment, an inverted version of the first movement’s opening theme appears with great energy, before the music resumes its earlier, lyrical melodic flow. The third-movement scherzo, “Seeker’s Scherzo”, is based on a lighthearted melody that becomes much more intense in the course of its development, with the momentum continuing unabated right up to the energetic ending. The finale begins with a lyrical “Intermezzo,” in which a growing fugue is formed by the principal players of strings and winds. A timpani solo marked appassionato ushers in the fast tempo. Over a series of rhythmic ostinatos, a vigorous Allegro con brio develops, becoming more and more excited as it progresses. Then Zhou suddenly reduces the orchestration for a prolonged build-up of the entire orchestra, followed by a comeback of the main theme, leading directly to the triumphant conclusion. Thierry Escaich was born in Nogent-sur-Marne, France on May 8, 1965. A virtuoso organist, he serves at the historic church of St. Étienne-du-Mont in Paris, where one of his predecessors was Maurice Duruflé. He is also an award-winning composer of more than a hundred works that have been performed internationally. 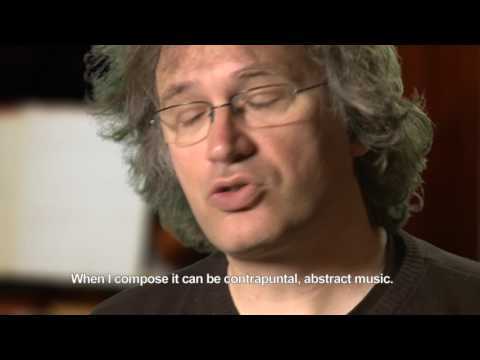 The composer calls Psalmos a sinfonia concertante for orchestra. Writing for the British daily The Guardian, music critic Rian Evans recently described the music of Thierry Escaich as “César Franck or Fauré on speed.” This somewhat flippant formulation calls attention to two important aspects of the French composer’s style: first, that he reconnects with 19th-century traditions and second, that there is nothing “retro” about this orientation since he completely reshapes what he takes over. Escaich may bring back elements of tonality that had been almost banned from French music in recent decades, but he handles tonality in a highly original way, with a unique sense of harmony and vibrant, energetic rhythms. More recent French composers who are frequently mentioned as having influenced Escaich include Ravel, Messiaen and Dutilleux; yet this virtuoso organist and improviser is equally steeped in the music of J.S. Bach. Psalmos, his new work written for the CSO, is based on chorale melodies familiar from the works of Bach (as well as other representatives of the German Lutheran tradition), but it takes those chorale melodies to places they have never been before. The work opens with a solo flute playing “Nun komm, der Heiden Heiland” (“Now come, Saviour of the Heathens”; the melody is based on the Gregorian hymn “Veni creator gentium”). Escaich had previously used this same chorale in his Evocation III for organ (2008), a work that, in the words of another British reviewer, did not handle his source material with “kid gloves,” and subjected it to “treatment that ranges from tender caresses to the aural equivalent of thwacking it with a blunt instrument.” The same description applies, to some extent, to the new piece as well: after the theme is introduced softly in a slow introduction, it receives a much more dramatic treatment in the ensuing “Vivacissimo.” After small fragments from the theme enter over an agitated repeated-note accompaniment, the chorale is presented in a sharply profiled rhythmic version by the trumpets and trombones. 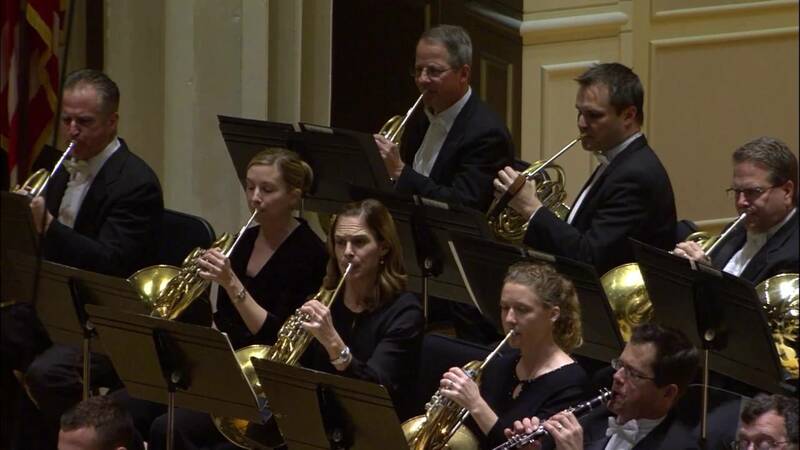 Then, a long, drawn-out decrescendo leads to a more lyrical statement of the chorale melody on the horn, punctuated by the magical sounds of the vibraphone, celesta, harp and piano. The music seems to ‘float away’ at the end, connecting to the second movement, marked “Andante un poco rubato.” Intertwining declamatory melodies played by three solo strings (violin, viola, cello and, later, three cellos or three violas) prepare for “O Haupt voll Blut und Wunden” (“O sacred head, now wounded”), the principal chorale in Bach’s St. Matthew Passion, played here by the woodwind choir and horns. The trumpets immediately respond with “Ein’ feste Burg ist unser Gott” (“A mighty fortress is our God”). Both chorale melodies are treated very freely; their development culminates in a dramatic climax that subsides as the oboe brings back “Nun komm, der Heiden Heiland.” A rhapsodic cello solo brings this movement to its close. The third movement (“Allegro giocoso”) plays the role of the scherzo in this four-movement sinfonia concertante. Over an excited ostinato in mixed meters played by the marimba and the vibraphone, we hear various chorale-like fragments until, finally, “Nun komm’” bursts forth one more time on violas and cellos accompanied by low winds and piano, followed by “Ein’ feste Burg” on trumpets. The ostinato gives way to a hymn-like statement of this most famous of Lutheran chorales, transitioning into the final “Allegro”, a colorful fantasy on the same melody. The work ends in a glorious tutti, with a unison C played in triple forte, reviving— and re-validating—a traditional closing gesture that nevertheless sounds very 21st century in this context. Sebastian Currier was born in Huntingdon, Pennsylvania, on March 16, 1959, and grew up in Providence, Rhode Island. He currently serves as Artist-in-Residence at the Institute for Advanced Study in Princeton. 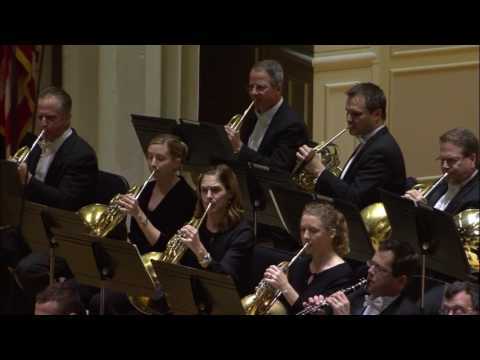 FLEX is a 35-minute, six-movement “concerto for orchestra” by an American composer who has been equally acclaimed on both sides of the Atlantic. 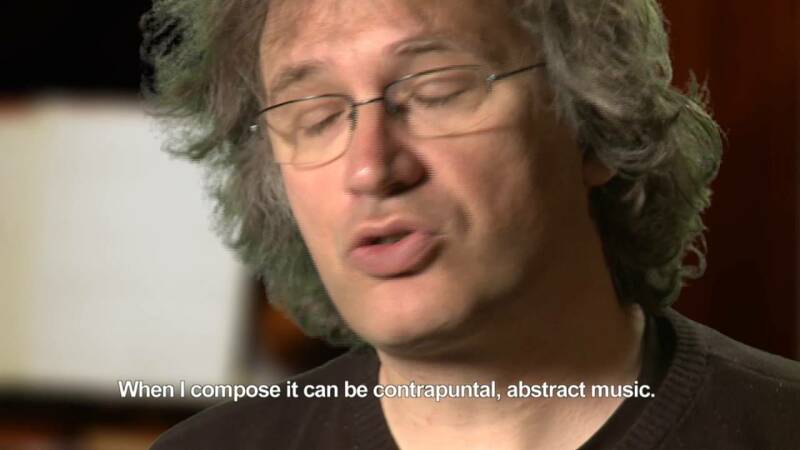 Performed by the Berlin Philharmonic and championed by the great German violinist Anne-Sophie Mutter, Sebastian Currier’s music has also been embraced by many major American symphony orchestras and chamber ensembles. In 2007, the composer received the Grawemeyer Award from the University of Louisville, informally known as the “Nobel Prize” of music. This honor only confirmed Currier’s prominent position in the new-music world of the early 21st century. In his Cincinnati commission, Currier combines high-energy, driving rhythms with dazzling instrumental colors and transparent musical structures that make the layering of the musical material relatively easy to follow, without ever becoming predictable. The first movement, “In the Spotlight,” features individual orchestral instruments taking turns “in the spotlight” with short virtuoso phrases, as if taking solo bows one after another, against the background of a rhythmic ostinato (“obstinately” repeated figure) in the strings. The title of the second movement, “Fifteen Versions of the Same Phrase,” describes exactly what happens in the music. The phrase in question, which echoes a trumpet melody from the first movement, is introduced by the solo clarinet. One of its recurrent elements, the triplet (group of three equal notes) provides an audible link to the other movements. As this brief theme is repeated fourteen more times by various instruments, the dynamics, harmonization, sound color and rhythm are all significantly altered while the melodic line remains unchanged. The third movement, “Micro-Variations,” continues the variation idea in a less direct way. Here as before, the musical material is composed of small melodic-rhythmic units, which seem related to earlier material, but the development of those units incorporates a wider range of textures and characters than was the case before. The fourth movement is entitled “Echoes, Canons, and a Minuet.” The theme, derived from the earlier triplet idea, is subjected to some intricate contrapuntal procedures. The final portion, the “minuet,” relates to the classical dance form only indirectly; instead of the typical melodic and rhythmic formulas usually found in minuets, the classics are merely hinted at: it is the gentle and elegant demeanor of the theme that alludes to bygone times. Movement 5, “Alone and Together,” juxtaposes solo and tutti in a rather dramatic way. The earlier triplet idea reappears in a number of new guises as a succession of solos—reminiscent of a play where each character has his or her turn to speak—is followed by a quartet for flute, clarinet, trumpet and cello. Movement 6, “Group Dynamics,” brings the whole orchestra together in a vibrant texture of intense rhythmic activity. Yet individual voices soon begin to assert themselves within the group, which won’t reunite until the concluding section of the piece.